IHG® Rewards Club - eBook - R.E.M.F. 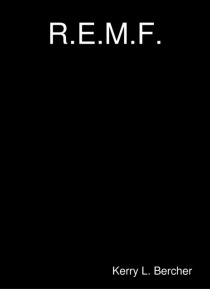 The Setting for R.E.M.F. Is the U.S. Army Supply Depot, Cam Ranh Bay, Vietnam In 1970 during the Vietnam War, where "e;LT"e; Is a U.S. Army Infantry 2nd Lieutenant who just arrived In-country to take command of a combat Infantry platoon. A twist of fate gets LT and his sidekicks assigned Instead to a Quartermaster battalion In the Depot where he Is tricked Into signing for his Company's eq… uipment and weaponry by his new Company Commander, a great deal of which Is missing. This can result In LT going to prison for a very long time. While he attempts to extricate himself from the missing equipment and weaponry debacle LT alienates the superior Quartermaster officers In his battalion who completely Ignore race, heroin and prostitution problems among the troops as well as Viet Cong spies.